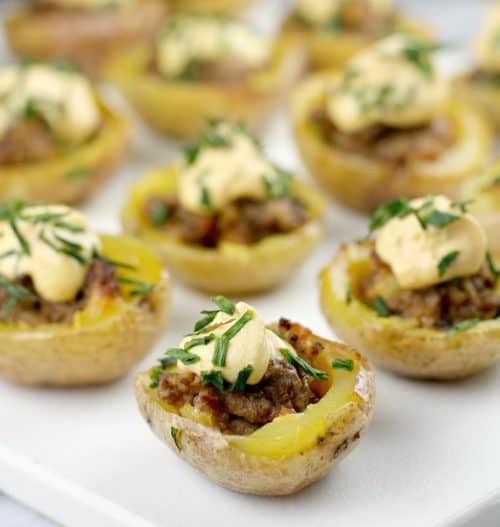 Yummy and enticing Mini Cheeseburger Potato Bites are the perfect and fun party nibble. 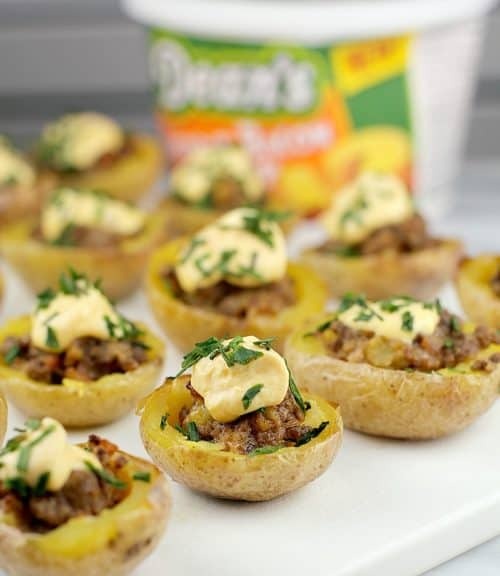 Crispy little potato skins filled with cheese, beef, and bacon, then topped with Dean’s Cheddar Bacon Dip will be a new crowd-favorite. Check out my brand new nibbles! 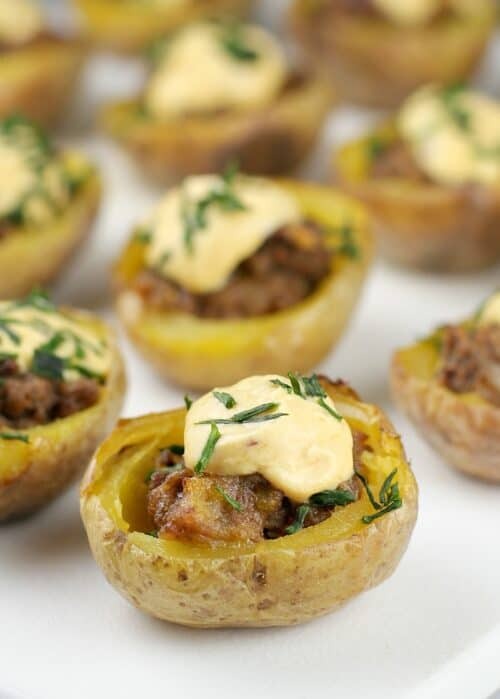 How cute are these Mini Cheeseburger Potato Bites. And they are no-where hard to make at all with just a couple little tricks. So chill and trust me …besides, there’s bacon. And Everything tastes better with Bacon, right? That’s is why I am working with a new DIP available now at Walmart, NEW Dean’s Cheddar Bacon Dip. So, a little first about the Dean’s Cheddar Bacon Dip. This dip is REALLY good, so it is a great option for upcoming gatherings. In fact, I am planning on picking up more for our upcoming big football party. I love easiness! We are planning a party in a couple weeks that will basically take place in our driveway so we can put a couple televisions in the garage. Then, we will of course put out a big spread of food, and a bunch of neighbors are bringing food too (YAY block party!). 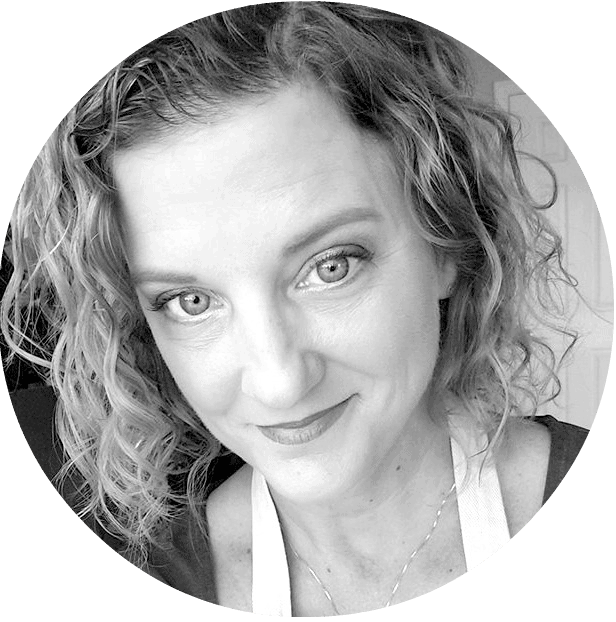 Because there will be mostly guys (my husband and his friends), I have got to keep the food simple (or I get complained at). Dean’s Dip is a refrigerated dip and tastes dairy-fresh. The cool, creaminess is perfect to go with spicy party foods, so this is just a no-brainer I think for my party. An easy solution for me to put out with chips and wings. 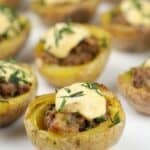 Now, my Mini Cheeseburger Potato Bites recipe! I made these fun bites for another football watching get together. Seems our life is revolving around football this year, seriously. So, I guess this is basically manfood, packaged in a cute little tater. First, we simply bake up our cute little potatoes. Then we patiently and delicately slice them in half, and use a melon baller to scoop out the flesh. This is the only tricky part, because the skins are so thin. But, it is totally doable, no biggie. 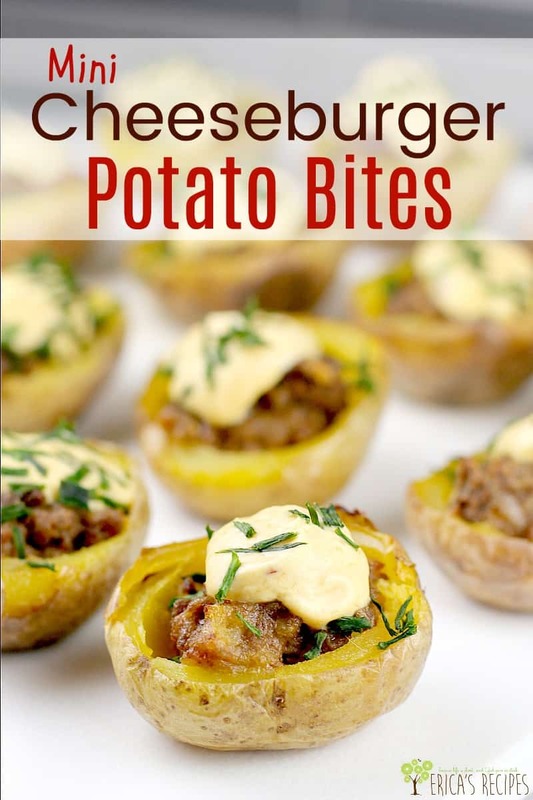 Then we just mix up our cheesy, burger-bacon filling, stuff the potatoes, and bake. Finally, we top with a little dollop of the Dean’s Cheddar Bacon Dip and serve. That’s it folks! A straightforward recipe, perfect for the guys (and girls of course). Cheesy, bacon, burger bites, and fun party food for the win. In a nonstick skillet, brown the beef breaking up into very small pieces as the meat cooks. Drain well. Coat the potatoes evenly with the olive oil. Bake at 425F for 25 minutes or until cooked through. Remove from the oven and set aside until cool enough to handle. 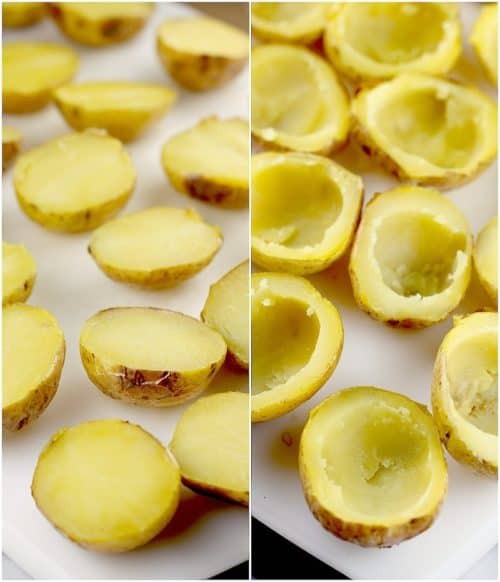 Using a very sharp, straight-edged knife, slice each potato in half. 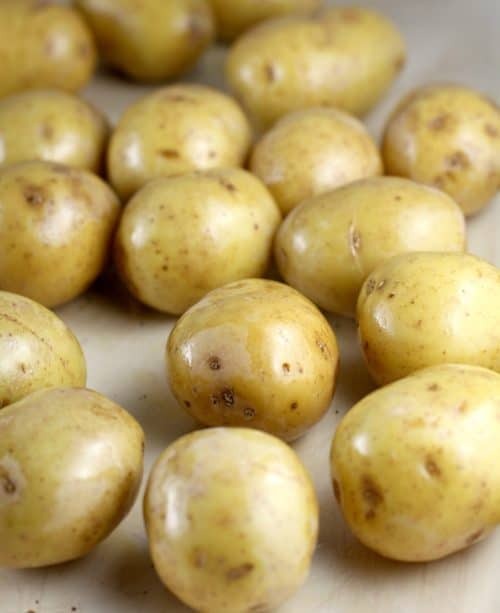 Use a spoon or mellon baller to carefully scoop out the flesh leaving a 1/4- to 1/2-inch thick skin (the actual skin of these potatoes is very thin, so some of the flesh has to remain to make the stuff-able potato "skin"). Reserve 1 cup of the scooped out potato flesh. In a medium bowl, mash the reserved potato with the milk. 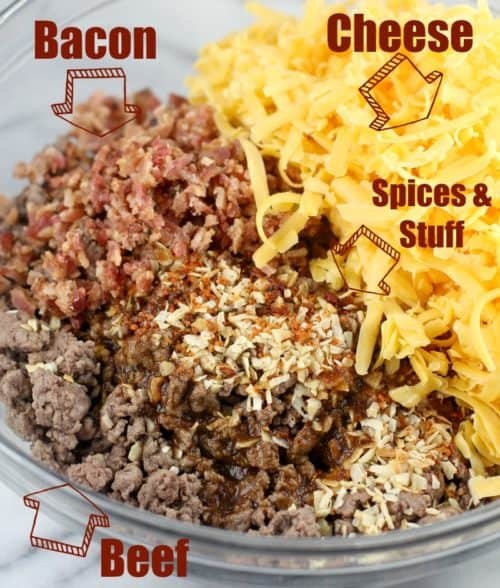 Add the remaining ingredients for the Cheeseburger Filling and combine. 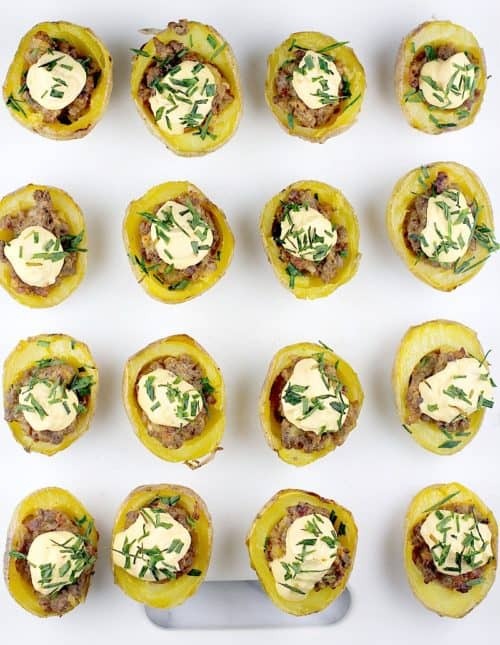 Place the potato skins on a bake sheet, hollowed side up. Spray lightly with cooking spray. Fill each skin with Cheeseburger Filling. Bake at 400F for 15-20 minutes until potato edges are lightly browned. Remove from the oven, and let cool 5 minutes. 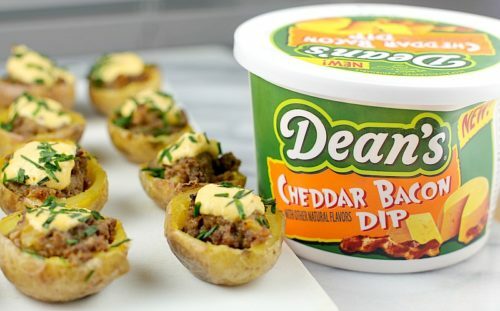 Top each potato skin with a dollop of Dean's cheddar Bacon Dip. Garnish with snipped chives and serve. Yields: 30 bites. Leave me a comment! What is your go-to, gameday party food? I LOVE these – and my husband would be over the moon if I made them for him. Such a great app for football season!